Refined, a biennial exhibition of jewelry and metalwork hosted by the art metals program in the School of Art at Stephen F. Austin State University, will open with a reception at 6 p.m. Friday, Oct. 26, in Reavley Gallery in The Cole Art Center @ The Old Opera House. Juror for Refined Art Metals/Jewelry Competition and Exhibition is Perry A. Price, executive director of the Houston Center for Contemporary Craft in Houston. Price will give a lecture at 5:15 p.m. prior to the reception. NACOGDOCHES, Texas - Refined, a biennial exhibition of jewelry and metalwork hosted by the art metals program in the School of Art at Stephen F. Austin State University, will open with a reception at 6 p.m. Friday, Oct. 26, in Reavley Gallery in The Cole Art Center @ The Old Opera House. Juror for Refined Art Metals/Jewelry Competition and Exhibition is Perry A. Price, executive director of the Houston Center for Contemporary Craft in Houston. Price will give a lecture at 5:15 p.m. prior to the reception. To celebrate its 10th anniversary, Refined will follow a theme of its namesake, according to John Handley, director of art galleries at SFA. Based on Webster's definition, refined means free from impurities, fastidious, cultivated, precise and exact. "Each of these broad definitions could be considered through design, narrative content, social/political work, and other various representations," Handley said. Entries may include work that honors "refined" in the broadest sense while embracing the diverse field of metalworking and jewelry, he explained. Jewelry, vessels, utensils, installation and sculpture are considered. "We encourage the use of a wide variety of materials and techniques," Handley said. 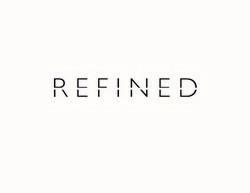 Refined has been a continuous presence in Texas allowing for talented jurors and participants to cross paths. "With an average of 60 works from all over the country (including international presence), this exhibition offers a diverse view of the field in an educational contemporary environment," Handley said. "Regional support as well as a short journey from Houston or Dallas ensures foot traffic through this unique exhibition." Price received a B.A. in the History of Art from the Johns Hopkins University and an M.A. in Museum Studies from the Cooperstown Graduate Program in Museum Studies, State University of New York at Oneonta, and the New York State Historical Association. Prior to joining the HCCC, he served as director of education for the American Craft Council in Minneapolis, Minnesota, where he was responsible for developing and presenting programming and outreach providing thought leadership and cultivating critical thinking in the field of contemporary craft. He previously served as curator of exhibitions and collections for Fuller Craft Museum in Brockton, Massachusetts, where he developed and oversaw all aspects of the New England craft museum's exhibitions and collections initiatives. He is a scholar of contemporary studio craft, material culture, decorative arts and design. The reception is sponsored by the SFA Friends of the Visual Arts, The Flower Shop, Bill Arscott and the Nacogdoches Junior Forum. Admission to the exhibition and reception is free. Cole Art Center is located at 329 E. Main St. For more information, call (936) 468-1131.